My daughter is going to camp this summer and it starts a lot earlier than we are used to getting up. I made some Greek yogurt smoothies that are a grab-and-go breakfast for us in the morning. Normally, I have time for elaborate eggs and pancake making in the morning, but that all changed this summer. Now that I have discovered how yummy this green yogurt smoothie is, I have been drinking them non-stop to beat the heat. We even packed them on our road trip to Orlando. Gotta love when you make a recipe that immediately becomes part of your routine. My routine starts with my bi weekly visit to Publix. Truthfully, it is more like 3 times per week. I am a food blogger and they always have what I need. The people are always friendly and helpful. At my Publix, everyone knows me and my daughter from our many grocery trips. This week, I grabbed some fresh spinach that is pre-washed 3 times, fresh mangoes, bananas, and Yoplait® Greek Yogurt. We eat as many ripe bananas and mangoes as we can through the week. Sometimes the bananas and other fruits start getting too ripe and instead of tossing them and wasting the fruit, I freeze them. I like to freeze my banana, mangoes, and any other fruit that I know will be yummy in a Simple Green Smoothie. I cut the fruits into bite-size pieces so that the blender will take them down with ease when they become part of a yummy smoothie later. Start by washing the outside of the banana. Some people skip this step, but I wash every piece of fruit in my house. Cut the banana into 3 pieces. Add the cut pieces into a small freezer bag. Add an expiration date 3 months from today onto the bag with a sharpie. Let fruit freeze for 24 hours. When you are freezing mangoes it depends on how ripe the mango is. If it is really soft, you can just peel it by hand like you would an orange. Then, slide the mango guts into a freezer bag. Add an expiration date 3 months from today onto the bag with a sharpie. Let fruit freeze for 24 hours. Start by washing the outside of the mango. Slice the mango into 3 pieces. Then, dice the mango into cubes. The Greek 100 Protein has 15 grams of protein and only 100 calories. It has awesome nutrients like 15% of your daily value of Calcium, 4% of your daily value of Vitamin A, and 10% of your daily value of Vitamin D.
In a blender, add the Yoplait® Greek Yogurt with the fresh spinach, frozen banana and frozen mango. In a blender, add the Greek Yogurt with the fresh spinach, frozen banana and frozen mango. Pack up this simple green smoothie for any road trip family this summer. Publix is making it easy to go places this summer. It is time to create memories outside! Rather than hang indoors all summer, head to the beach or take a road trip and go places with the family! What are your plans for the summer? Bella Reina Spa – West Palm Beach Spa With Upcoming Specials You Can’t Miss! The grilled Mexican corn looks really good to try! Sounds great. I am always looking for new smoothie recipes. Also, would love to win a PX gift card….this would definitely come in handy! Love the healthy food blogs. Must try this recipe!! Thank you for the easy way to do this because I seriously struggle with how to make a great tasting smoothie! I would love to try the Bacon-Ranch Jar Salad! I’m 6 months pregnant and that sounds So Delicious! I think the Bacon-Ranch Jar Salad sounds amazing! YuM! I’ve been loving corn this Summer, so the Grilled Mexican Corn recipe looks lovely! I never thought about freezing mangoes. Siracha drumsticks would be great this summer. Looks yummy (and very healthy)!! Breakfast Parfait looks delicious! I could easily make that and start my day great! Love your additions of fruit to the yogurt, I like ust a little sprinkling of cinnamon or cocoa powder. I’m going to try this one. Looks simple enough, and delicious. Thanks for sharing. I really want to try the grilled mexican corn. Yum! The Bacon-Ranch Jar Salad sounds delish! I want to make the Mocha Coconut Morning Smoothie. The freezing mangos smoothie is a great recipe to try! Thanks for sharing smoothie recipe. Oh, my goodness. There are so many. I love to eat, but not so much to cook. Bacon-ranch salad in a jar, butterscotch potato chip (sounds very interesting), definitely grilled Mexican corn, and Green yogurt smoothie (I’m always searching for good smoothie recipes). Anyway, thanks! I want to try the Blueberry-Lemon Muddy Buddies, I’ve never thought of that idea before and it would be an easy and yummy snack/treat! I would like to try the Incredible Butterscotch Potato Chip Cookies. I’d love to try the Mocha Coconut Morning Smoothie. I would like to try the incredible sounding Fritos Top N Go: Mexican Corn Nachos – My family would love that! It looks so delicious! It was confusing as to if I was supposed to comment where the recipe was or here. I like the bacon ranch lettuce in a jar. The whole family would eat that. I want to try the Pinwheel Mini Sandwiches. They have a bit of everything and look delicious. The Pinwheel Mini Sandwiches look so good! blueberry lemon muddy buddies is a recipe I would love to try. It sounds delish!! Pinwheel mini sandwiches sound good. I would love to try the grilled Mexican corn and the mocha cocoanut morning smoothie. I would love to try the PB and Banana Granola Bars! Brings back good memories of childhood. The bacon-ranch jar salad looks amazing, and I can’t wait to try. The PB and Banana Granola Bars look so good, I will have to make those. The Greek yogurt smoothie sounds amazing! I want to try the Grilled Mexican Corn it looks so good and refreshing for summer. The Bacon-Ranch Jar Salad looks yummy! I would like to try the Bacon-Ranch Jar Salad. I have tried several recipes from Publix and they have all been very good. i hope i win the $100 gift card. I’m a sucker for snacks and sweets, so the Incredible Butterscotch Potato Chip Cookies sound awesome to try. I’d like to try the Mexican Corn Nachos. YUM … Sign me up for the GREEK YOGURT SMOOTHIE! I want to try the recipe for “Breakfast Parfait”. The grilled Mexican corn looks so so good! I have to make this. I want to try the breakfast parfait! I like the pb granola bars ! I want to try the breakfast parfait. The Greek Yogurt Smoothie sounds delish and it is packed with protein. I’d love to try the Pinwheel Mini Sandwiches. mocha coconut smoothie..anything with those two ingredients must taste good! II’d like to try the Slow Cooker Pineapple Pulled Pork Sliders! I love a good green smoothie! I’d love to make their Fritos Top N Go: Mexican Corn Nachos! I would love to try the Fritos Top N Go: Mexican Corn Nachos. They look delicious. I’d love to try the breakfast parfait recipe! I want to try the Grilled Mexican Corn. I love corn on the cob and this looks so good. I’ve been looking for more smoothie recipes to try. the Mocha Coconut Morning Smoothie sounds delightful! The Greek yogurt smoothie looks delicious. I need to make one!! I want to try the PB and Banana Granola Bars. the Bacon-ranch salad in a jar, looks like something I would love. The pin wheel sammies are cute!! I’m planning a beach trip for the last week of summer. I am looking forward to trying the Bacon-Ranch salad jar! I love smoothies like this for breakfast or any time of the day. It tastes like a treat but is still so healthy. I want to try the bacon ranch jar salad, the pinwheels, AND the grilled mexican corn! yum! Just saved the pineapple pulled pork sliders! Those look amazing, and EASY! Blueberry-Lemon Muddy Buddies is what I want to try. I would make the Breakfast Parfait. That recipe looks easy and delicious. Would love to try them all, but salad in a jar, and the mocha coconut smoothie are my favorite ones. I love Publix! I am going to make the Mango-Siracha Glazed Drumstick recipe. I really want to try the grilled mexican corn. I have been really wanting to do something like this for the past month. This recipe looks great. I have got to get healthier & this blog is a great start! I would love to try the grilled mexican corn! Thanks for the opportunity! The Greek yogurt smoothies look amazing! I would like to try the Mocha Coconut Morning Smoothie! I would love to try the Bacon-Ranch Jar Salad! Bacon Ranch Jar all the way! Yummy Yummy!! I am always looking for great smoothie recipes. Thank you! Mocha Coconut Morning Smoothie sounds amazing! The Bacon-Ranch jar salad looks amazing and the mocha coconut smoothies looks pretty good too. Grilled Mexican corn…. looks amazing!! I’d love to try Mango-Siracha Glazed Drumsticks! Looks divine! I’d have to go with the Bacon Ranch Jar Salad! the Grilled Mexican Corn looks wonderful. Can’t wait to try. Even the photos make this look like a winning recipe! I would try it. I’d like to try the Incredible Butterscotch Potato Chip Cookies. Would Love to make the butterscotch potato chip cookie recipe. These look like quick & easy recipes. YUM YUM YUM! … Sign me up for the GREEK YOGURT SMOOTHIE! Pinwheel mini sandwiches look delicious! I love Mexican food, so I really want to try the Fritos Top N Go: Mexican Corn Nachos. They sound so good! My grand daughter is going to love the spinach smoothie!! Can not wait to try it !! I Need to try this Product, sounds delicious! I would love to try the grilled Mexican corn! Yummy! The grilled Mexican corn looks amazing! The mango smoothies look delicious!! That grilled mexican cornplease! YUM!! I will be trying it. I would love to try a few of the recipes. I would start with blueberry-lemon muddy buddies. I would love to try the Bacon-Ranch Jar Salad! It looks perfect for the season! Bacon Bacon Bacon Bacon Ranch Jar looks amazing !!! Greek yogurt is one of my favorite foods! It is so rich and filled with protein! A great snack or light meal!!! I’d love to try that Bacon Ranch Salad in a Mason Jar! It seems like a great meal prep idea! I appreciate the tip on freezing bananas. I will try the banana-spinach smoothie recipe. I like the pinwheel sandwiches. A great lunch ideas for toddlers. I would like to make homemade granola bars. They look great! I will try the Mango Banana Smoothie! Bacon-Ranch Jar Salad – Sounds delicious and fun! Mocha Coconut Morning Smoothie sounds yummy and a good start to my day. I want to try the Bacon Ranch Jar Salad. Ir looks really good. I want to try those Butterscotch cookies! The feathered recipe, Bacon Ranch Jar Salad looks yummy. What a cool way to use a jar! I want to try the Blueberry-Lemon Muddy Buddies. They look like a fun and yummy treat. I’d love to try the Fritos Top N Go: Mexican Corn Nachos. It reminds me of a trip to Santa Fe! I want to try the Blueberry-Lemon Muddy Buddies! They look amazing! Thanks for the smoothie recipes. Recently, I began a yogurt kick and this will provide more variety. I really want to try this! Always looking for new smoothie recipes. Looks good!! I Love Publix stores. They seem to have the best produce in Florida! I am always on the hunt for Fresh smoothie recipes also so thank you! I’d love to try the Domino Brownie recipe for our next game night. I can’t wait to see the surprise on my kiddos faces. Thank you for the great ideas and the chance to win. The Bacon Ranch Jar Salad looks delicious, would love to try that! Homemade Granola Bar Recipe looks good. I would like to try the Grilled Mexican Corn recipe. I loved the freezing fruit information. Some great healthy tips here, thanks for sharing! I think my family would like the Bacon-Ranch Jar Salad. Incredible Butterscotch Potato Chip Cookies look good. I would love to try the Grilled Mexican Corn. Yum! grilled mexican corn, never grilled corn yet but i keep meaning to and forget! Bacon Ranch Jar Salad would be great. Can’t wait to try it. I would love to try the PB and Banana Granola Bars. I’d like to try the Fritos Top N Go: Mexican Corn Nachos. Just seeing the picture made my moth water. Incredible Butterscotch Potato Chip Cookies i want to try these out. recipe looks great. 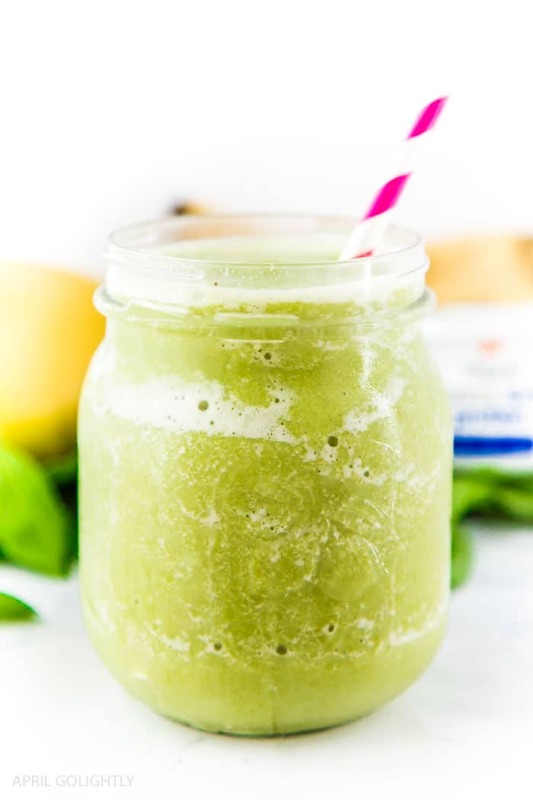 The Greek Yogurt Smoothie looks like one I should try to get more greens in each day! Blueberry-Lemon Muddy Buddies looks good. I would like to try the Bacon-Ranch Jar Salad. I am in need of some portable lunch items for work. Mango Sriracha Drumsticks look tasty. I’m so glad to know how to freeze bananas. Thank you for that tip. I love that recipe. The PB and Banana Granola Bars look amazing and even something that my picky eaters would like. Grilled Mexican con sounds great! I’d love to try the Mexican Grilled Corn and the Honey-Glazed Mixed Nuts Recipe at: https://www.yourrecipeforhappiness.com/honey-glazed-mixed-nuts I love Publix and thank’s for the freezing tips!! I would try the Mocha Coconut Morning Smoothie recipe. I would make the Incredible Butterscotch Potato Chip Cookies. Mango-Siracha Glazed Drumstick looks awesome – I do plan to try this one!! The grilled Mexican corn looks awesome!!! Gotta try this one! I’d love to try anything with siracha. The Mango-Siracha Glazed Drumstick look delicious! I will give this to my sister. Fritos Top N Go: Mexican Corn Nachos stands out but they all look good. I’d like to try the blueberry-lemon muddy buddies. I’d like to try the bacon-ranch salad jar recipe. Portable, yummy and looks delicious! Domino Brownies looks yummy. I definitely would try making them. Fritos Top N Go: Mexican Corn Nachos. Looks awesome! The Mocha Coconut Morning Smoothie looks yummy! The Mocha Coconut Morning smoothie looks delicious. PB and Banana Granola Bars, yum! All the food looks really tasty, but I need that Bacon-Ranch jar salad everyday! I would like to try the Butterscotch Potato Chip Cookies. I love smoothies! You have delish recipes here. Greek Yogurt Smoothie has my name all over it! Love the Pinwheel Mini Sandwiches! Not to mention the Greek Yogurt Smoothie! This is my favorite yogurt, and I can only find lime at Publix. I would love to try the Grilled Mexican Corn recipe. I would love to try the Homemade Granola Bar Recipe. I would like to try the PB and Banana Granola Bars – look delicious! I would like to try the Incredible Butterscotch Potato Chip Cookies. They sound delicious. I would like to try the Breakfast Parfait. I want to try to Mocha Coconut smoothie!! 😍😍😍 first thing tomorrow! The Mocha Coconut Morning Smoothie looks worth a try. I would like to try the Grilled Mexican Corn. One of the recipes I would like to try is the Mocha Coconut Morning Smoothie. Props to the Bacon-Ranch Jar Salad! Convenient and, hello, bacon! Greek yogurt smoothie! Thank you! These look amazing, the bacon ranch jar salad looks so good as well, these are really great easy ideas thank you ! I want to try the Blueberry-Lemon Muddy Buddies. Bacon-Ranch Jar Salad looks scrummish !! The Fritos Top N Go: Mexican Corn Nachos sounds yummy! I LOVE Mexican food. And the smoothie sounds delicious! Thank you for the chance! I am a blueberry fanatic! I want to try the blueberry lemon muddy buddies! Love Mexican so I would try the Mexican corn. I love the mocha coconut morning smoothie! That would be awesome! Looks delicious….I would love to try it!!!! I would love to try making the Bacon-Ranch Jar Sala! I’d like to try the Breakfast Parfait! This is such a yummy smoothie recipe. Thanks.